This rugged ventilation Fan the Broughton VF250 is made by the company in the West Midlands. 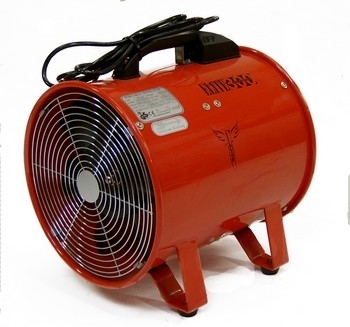 This fan can be used for ventilation, the supply of fresh air or extraction. The model is available in both 110 volt and 240 volt versions and can be fitted with 250mm ducting up to 10 metres in length. With a weight of only 12kg this ventilation fan is easily transported to where it is needed. This model is also available with 10 metres of flexible duct, 250mm in diameter.